There are a number of different types of generators that you can buy when you are thinking about a backup for your home in case of a power outage. 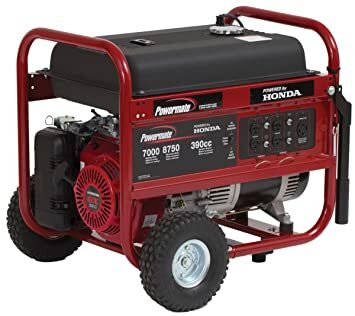 However, if you also go camping, go to tailgating parties, or have other types of outside events you may want to consider buying a tri fuel generator that allows you to save energy while saving money. 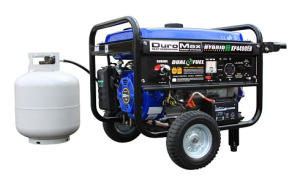 You can use a generator that will take gasoline, propane, or natural gas and this will offer you the opportunity to select which type of fuel you want to use rather than having to choose only one type. Here are some of the best tri fuel generators you can select from. 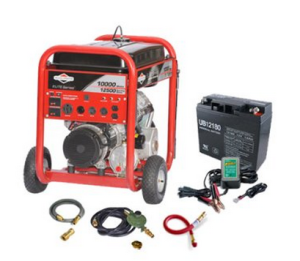 This Briggs and Stratton Tri Fuel Portable Generator has power from its 570cc 18 gross torque V-Twin OHV engine and it has a fuel capacity of seven gallons. It can run for up to seven hours at half load and it weighs about 275 pounds. It comes with various accessories including a 10 foot long natural gas hose and a 10 foot long propane hose. It has a recoil starting system and runs quietly at 80 dba. It comes with a two year limited warranty attime of purchase. The natural gas requires 180,000 BTUs per hour in case you choose to use the natural gas option. It has an automatic voltage regulator and a low oil shut down to help prevent damage to the engine. There are several outlets including a 14-50R 50 amp 240 volt outlet and a 50 amp transfer switch. It runs at 10000 watts rated and 12500 watts surge. Consumers like how great it works and like how easy it is to use. It costs about $3750 online and it received 5 stars from amazon reviewers to make this one of the best tri fuel generator to consider. 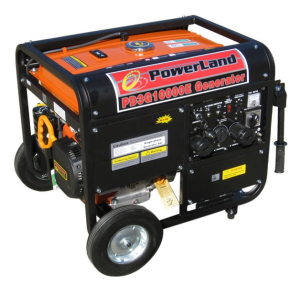 This Powerland Tri Fuel PD3G10000E Gas Propane Natural Gas Powered Portable Generator weighs about 243 pounds. It can be switched easily from one type of fuel to another with natural gas to gasoline, to propane. It has a low oil shut off to help protect the life of the engine. It runs at 8000 watts rated and 10000 watts surge. It has a 16 hp air cooled OHV engine and has an electrical starting system. It costs about $1150 online and it received 4 stars from amazon reviewers. Consumers feel this machine runs well and it is a real life saver. 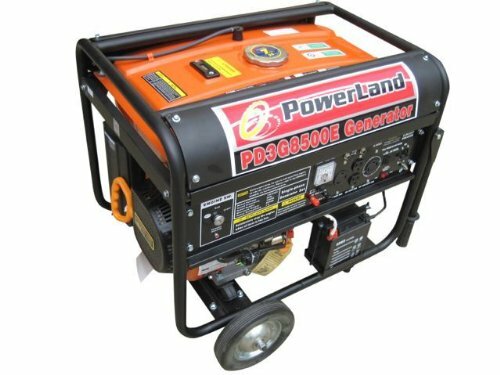 This Powerland Tri Fuel PD3G 8500E Generator has a voltage regulator and can run for up to ten hours at half load. It has a 16 hp single cylinder air cooling four cycle engine and there are 10.5 inch solid rubber tires. It has an electrical starting system and it weighs about 250 pounds. It has a folding handle for easy storage and it runs quietly at 72 dba. There is a battery included along with a spark plug wrench. It has clear sine wave power for running sensitive electronic equipment. It has a fuel capacity of seven gallons and it runs at 7000 watts rated and 8500 watts surge with a frequency of 60 hz. For the natural gas you will need to run it at 130,000 BTUs per hour for the best results. It costs about $1000 online. All of these items are ideal when you are searching for the best tri fuel generator. See our Generator Fuel Types Review and see why it is advantageous to have a choice in the fuel you use. They provide you with various features that make them unique and overall easy to use. Their capabilities make them outshine other types of generators.